After using many Camp Sites and Conference Centres for our Camps and Retreats, there was a vision to develop our own conference facilities. 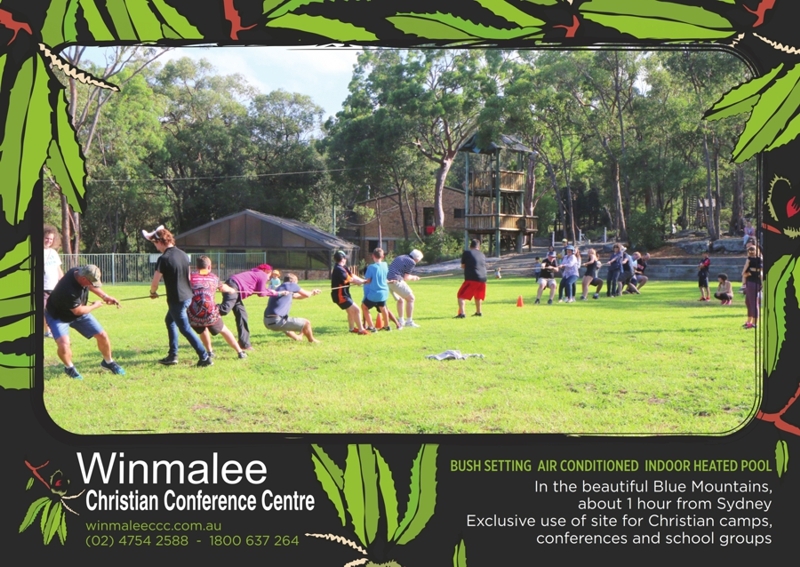 Following many working bees, Winmalee Christian Conference Centre was opened in 1984. This centre provides modern conference facilities that can sleep up to 90 people. Its facilities include a heated swimming pool, indoor basket ball court and play area, a flying fox and an outdoor bushchapel. Being located adjacent to the Blue Mountains National Park, bush walking is also available.